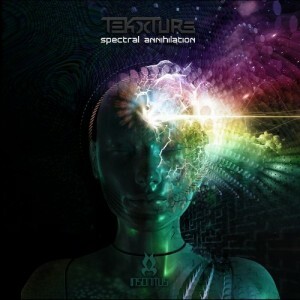 Insonitus Records presents Spectral Annihilation, the first release from Tekxture (Alby Pickstock), a deep progressive psytrance project hailing from Melbourne, Australia. Stripping back the style of his work as Loosefingers and applying a more reserved and subtle approach to his sound, the resulting sound is that of a well-forged progressive powerhouse. Step into the depths manifested by rolling bass lines, abstract soundscapes, and haunting atmospheres. Find yourself manipulated by the digital hypnosis with no control over your mind and body. Let the energy move you! Mastering byAnti-Logic Studios, Berlin, with cover art by Client Greirson at Point Zero Productions. MP3 Download | FLAC Download | WAV Download · Download count: 6,220. Very nice.. dark and deep with pulsating progressive beats.